We also undertake O & M activities and deploy trained staff to maintain the system over longer periods of time and ensure timely rectification of issues, if any. Being a quality oriented organization, we are engaged rendering Maintenance Service. This Maintenance Service we provide to our customers as per their requirements by using advance machines and tools. To attain the maximum satisfaction of clients, we provide this service at most reasonable price. 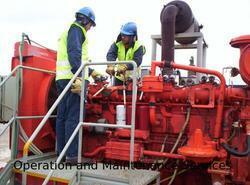 Our company is a master in providing Power Sprayer Maintenance Service. Bulwark Facilities Management Private Ltd.
Relying on our professionals we are providing Power Tool Maintenance Service to our patrons. FriendZ data care is well equipped with all the modern testing and repair technologies required for providing thorough testing and repair services. We are a distinguished high technology venture which holds a strong position as the provider of high quality Information technology solutions. 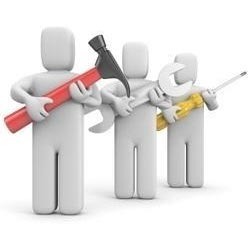 We provides a unique and revolutionary service in maintenance (like painting, plumbing, electrician, carpentry job, etc.) offering a comprehensive preventive maintenance program to preserve and enhance the value, life, and beauty of your home or offices. We also provide service of vacuum cleaner, scrubber machine, mop, etc. Owing to our principled business strategies and understanding of this business arena, we are immensely betrothed in providing Power Supply Maintenance Service. These services are credited due to their timely execution and cost effectiveness. Moreover, these services are provided beneath the supervision of trained personnel. Nuclear Power may become the carbon-free zero emission fuel of the future, and Hayward Tyler have been developing and supplying specialized pumps for the nuclear power and nuclear re-processing industries for over half a century. Our range of remotely maintainable pumps and valves provide an ideal safe solution for radioactive liquids.